For years now, I thought about posting a photo like this on April Fool’s Day. Finally I got around to actually doing it. April Fools! Here’s the story. 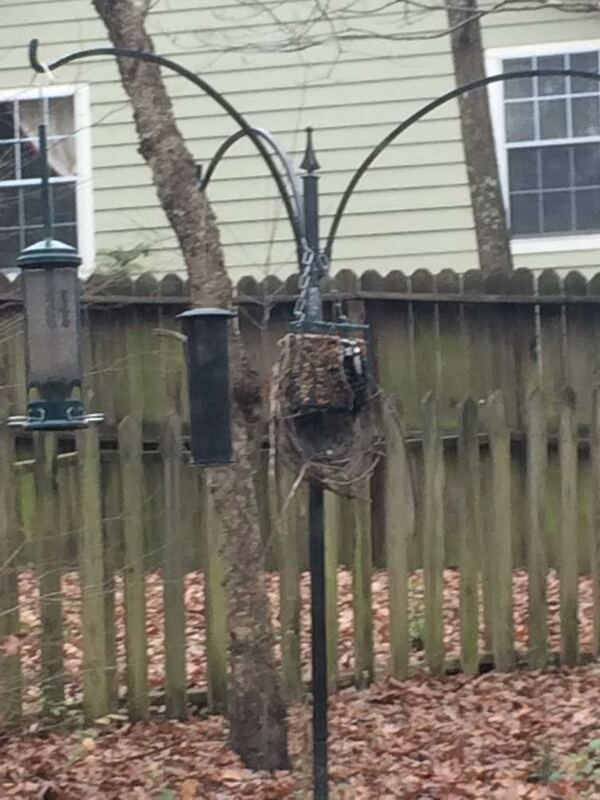 Here’s the original photo of my bird feeder in my back yard. I surfed the web looking for some suitable pictures that I could superimpose onto a photo of my bird feeder. …taken by Laura Young of Ft Collins, CO at a Museum in Denver, in a post on her blog. I contacted her asking for permission to use the photo and explained what I was up to. She not only granted permission but also provided some really good pointers on realism after I sent her my first attempt. Turns out Laura is an accomplished wildlife artist and illustrator. Here is my 1st attempt. I used Gimp, an open source photo editor, which you can download for free at gimp.org. I switched the birds because it seemed more natural, resized them so they seemed to fit on the feeder, opened the beak of one of the birds, and sent the photo off to Laura for comment. So what do we take away from all of this? Well, I hope people get a laugh out of it. In all seriousness, its not lost on me how regrettable it is that ivory woodpecker sightings are such a remote possibility they’ve become the stuff of April Fool’s jokes. Sadly this magnificent bird may never been seen again. Plant Native plants and wildflowers in your yard. Your yard is a shared habitat that literally thousands of living things depend on. You can make a beautiful wildlife friendly space that nurtures you and the plants and animals who share the land with you. Be vocal about the need to preserve nature’s capabilities. A plot of forest provides air quality, water quality, erosion control and other services that are worth far more than the market price of the lumber or the land. Take a few minutes to read A Wealthy World. 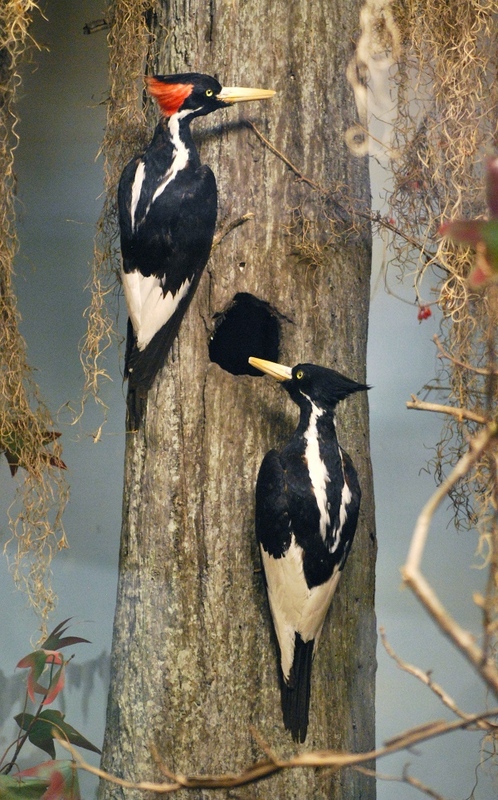 Join a conservation group like the Audubon Society. Here at our local chapter, the New Hope Audubon Society, we have great times going hiking, building trails, sharing photos, and learning and working together.